You all know that I love a good bow. It's a standout girly detail that never goes out of style. 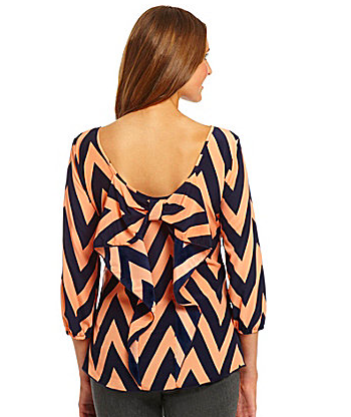 Today let's look at some back bow tops that are perfect for summer. Simple and classic. 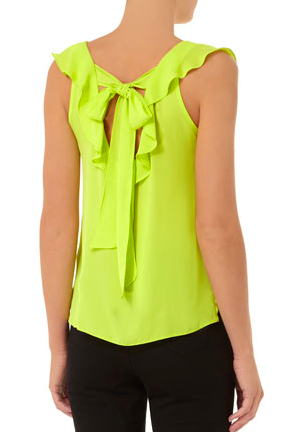 A great silhouette for an understated blouse. This is preppy and ready for some white denim. What a delicate tank that is perfect for the hottest days of summer. You don't see a lot of lime anymore. Why is that? I think it looks pretty great with so many skin tones. 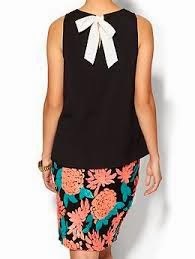 Bows are wonderful, and if you would rather not have them as in your face as I would, I think a bow back blouse id a great option.